Have you ever taken a whiff of your regular nail polish? It’s clearly packed with a zillion chemicals, toxins, and carcinogens. That said, non-toxic nail polish is now on the rise, and it’s a refreshing wave in this industry. You must be wondering – what’s so special about it? 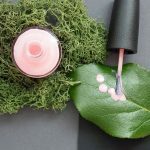 Well, these toxin-free nail polishes are created using natural, safer, and less harmful ingredients. 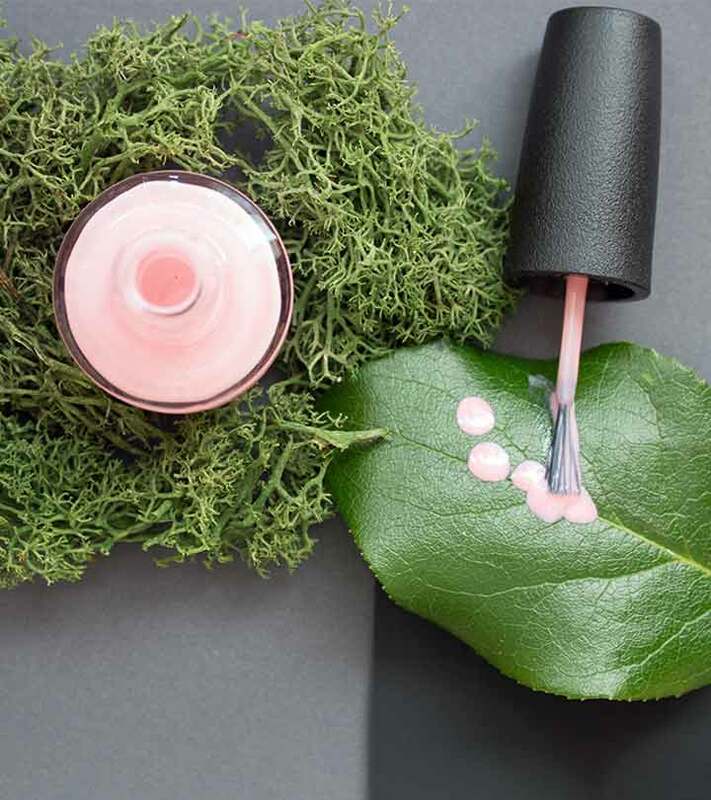 If you are progressing towards ingredient-conscious beauty, it’s time you ditch your conventional nail polish and give in to this trend. We’ve rounded up the best non-toxic nail polish brands for healthier and safer mani options. These won’t hold back on quality or color either! Would you like to provide nourishment to your nails while having some cute color on? Orly claims that 99% of women who tried and tested its nail polishes experienced healthier nails. It’s a 13-free formula, and by that we mean it’s formulated without 13 unfavorable ingredients like toluene, formaldehyde, DBP, parabens, animal-derived ingredients, gluten, and more. This brand boasts a breathable formula that also prevents chipping and peeling. It’s infused with pro vitamin B5 +, vitamin C, and argan oil. Could it get any better? 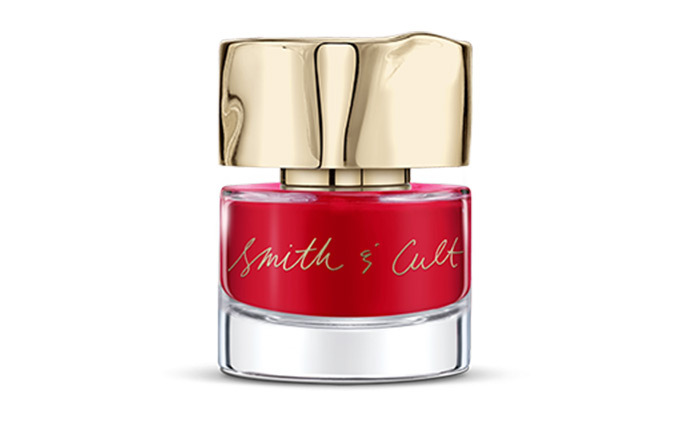 Smith and Cult’s nail lacquers are exclusive 8-free formulas that are formulated without toluene, formaldehyde, dibutyl phthalate, camphor, and other such harmful ingredients. These polishes deliver both flawlessly smooth coverage and brilliant shine. These come in a wide range of high-quality shades and textures. You can keep it au naturale while having your nails look pretty! 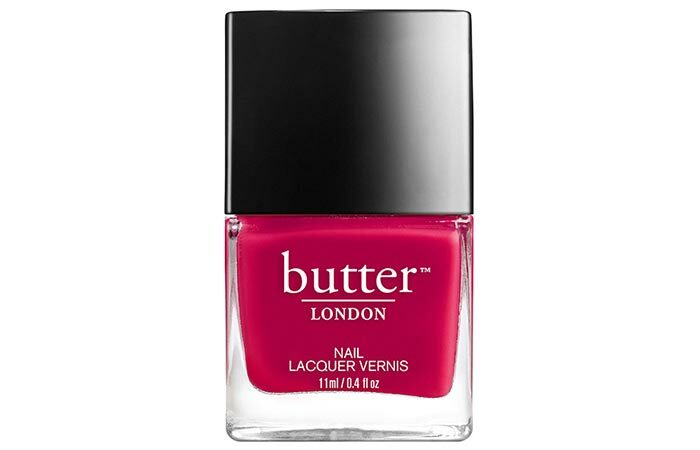 Butter London polishes are non-toxic and 3-free. In addition to parabens, they’re formulated without formaldehyde, toluene, and DPB. This brand has a whole range of unique and pigment-rich colors. It has also recently introduced its Patent Shine 10x lacquer collection that features an 8-free formula with high-gloss and bold shades. 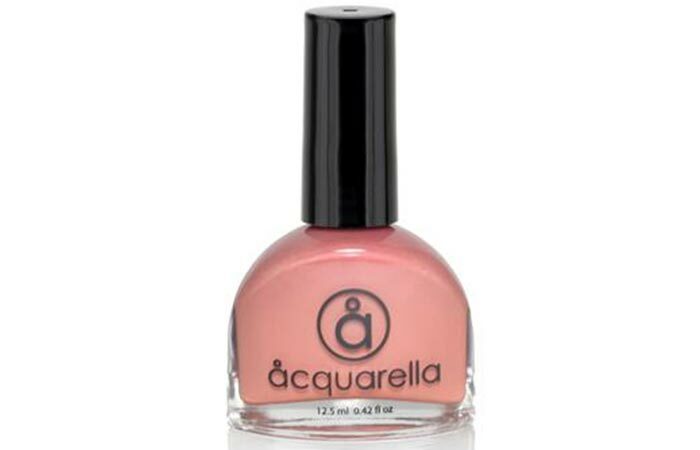 If you want something that’s good for your nails – these formulas contain hydrolyzed silk, horsetail extract, and vitamins B, C, and E.
This unique, water-based nail polish from leading brand Acquarella contains nothing unwanted. It helps strengthen and moisturize your nails without the dreadful smell of toxic chemicals. It also carries its own non-toxic nail polish remover and nail strengthening conditioner. If you want a nail polish that provides nourishment, dries quickly, is long-staying, and has great pigmentation, this one is for you! 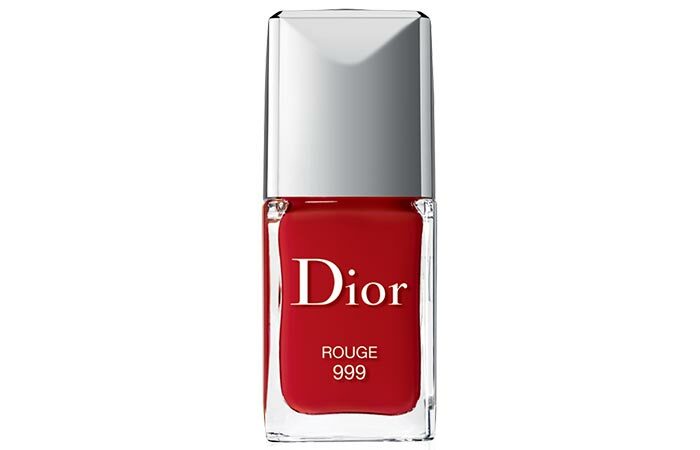 Despite being pricey for a nail polish, every woman deserves a touch of Dior in her life. 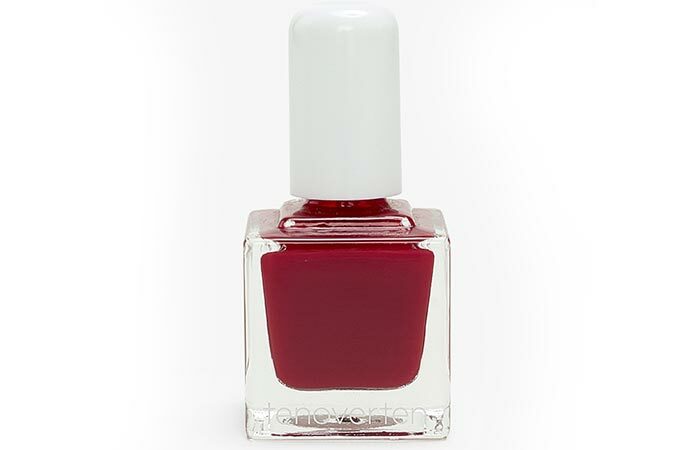 This high-shine lacquer is a 5-free formula. These come with a flat, rounded brush, and are available in a range of classy shades. They also dry quickly and don’t wear off easily. Just like its brand name, these nail polishes are super fancy. The L.A.-based nail brand features chic, modern packaging and comes in an array of sumptuous colors and finishes. It’s a 10-free vegan formula that won’t disappoint you in any way. The company offers over 100 different shades and treatments with the highest quality ingredients. This one’s definitely a green-beauty stape for your collection. Free of petrochemicals, DPB, TPHP, parabens, toluene, camphor, xylene, formaldehyde, resin, and animal products, this brand’s nail polish formulation is a 6-free formula. Available in a selection of your favorite shades, you can use these with a clean conscience since they are completely cruelty-free and vegan. 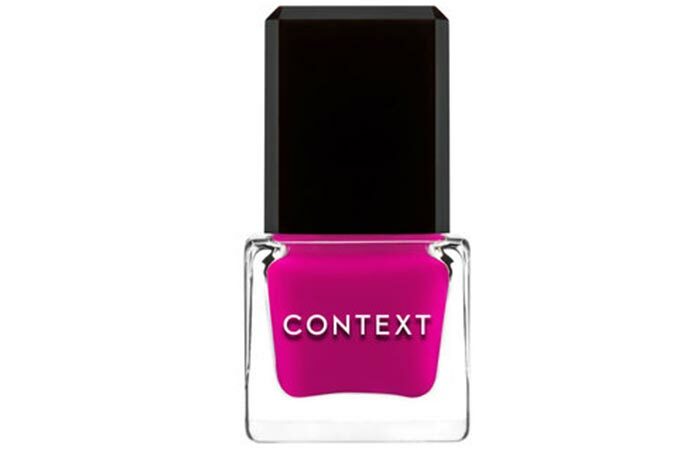 Context claims to be the next generation of nail lacquer, and we’ve analyzed why it’s pretty awesome. For starters, it’s 100% vegan and cruelty-free! A big thumbs-up for that! It’s a 5-free formula that’s free of formaldehyde, formaldehyde resin, toluene, camphor, and DBP. We also can’t stop swooning over its packaging and shade range. Tenoverten is a brand that genuinely cares about what’s underneath that shiny manicure. Its formula is 8-free, so all the ingredients typically linked to toxicity in nail polish are shunned by this brand. To add the icing on the cake, it is also a cruelty-free, gluten-free, and vegan brand! This brand is known for producing vegan, non-toxic nail polishes that are also chip-resistant, long-wearing, and rich in consistency. It also sells a wide range of nail care products such as non-toxic remover pads and nail conditioners. You can choose from one of its three nail polish formulas – one-coat creme, semi-opaque, and metallic. 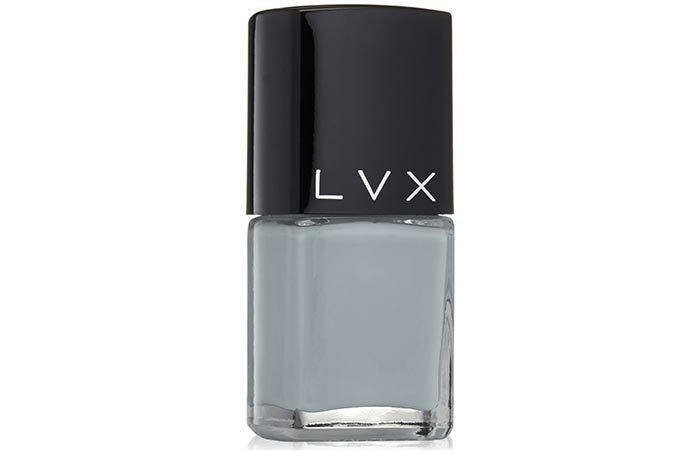 LVX releases a new line of colors each season, so your trends are straight off of the runway. These eco-friendly nail formulas by Priti NYC is another darling among the toxin-free set of options. It’s one of the most well-recognized non-toxic, vegan, and cruelty-free nail brands. This is painted on the nails of Tommy Hilfiger and Stella McCartney’s catwalk models! It’s a 5-free formula that contains a UV inhibitor and gives you an extremely glossy finish. These are available in over 100 different shades, so your choices are infinite! 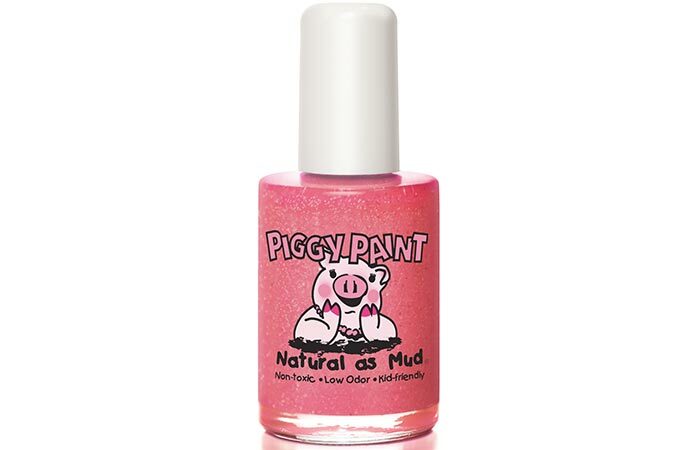 “Piggy Paint” – doesn’t that sound adorable for a nail polish brand? We can’t get over how cute its packaging is. These water-based nail polishes are formulated with natural ingredients and come in fun, vibrant colors that dry to a hard, durable finish. These are specially designed for children! They are free of formaldehyde, phthalates, toluenes, bisphenol A, ethyl acetate, and acetone. The brand also offers all-natural nail polish removers that contain aloe vera and vitamin E.
If you want an alternative to solvent-based nail enamels, nail formulas from Honeybee Gardens are the solution! Its unique water-based polish is free from harsh chemicals and fumes. Wouldn’t you prefer an odor-free, chemical-free product which is better for the environment and your health? 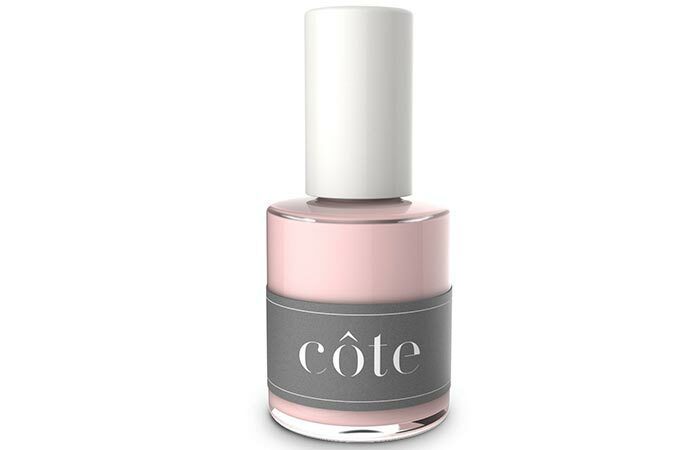 This brand is dawning a whole revolution in all things nails, giving you a natural, wholesome way to wear nail polish. 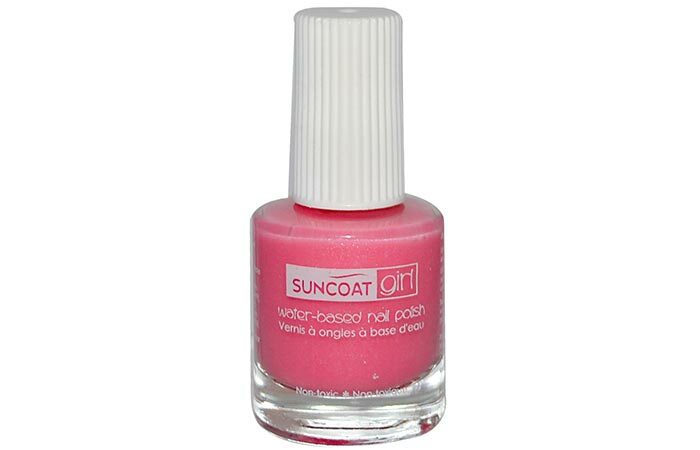 Suncoat’s nail formulations are water-based to give you a bold, brazen color and a happy conscience. 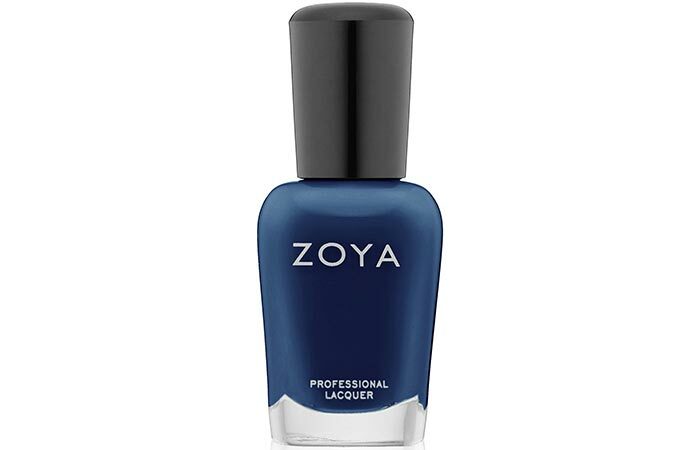 Zoya is one of the most popular nail polish suppliers, and this brand produces 5-free polishes. It has been awarded as the longest wearing natural nail polish by an independent panel in Women’s Health magazine. You also have over 300 gorgeous colors to choose from, so good luck picking your favorite. Ready to ditch all the questionable nail formulas from your collection? We’ve made your job easier because these are some of the best non-toxic nail polish brands that you will find. 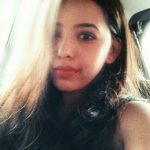 Also, it feels great to do your tiny bit for the environment and your health, even if it’s as trivial a contribution as choosing toxin-free beauty products. Think about all those innocent animals cosmetic companies conduct their gruesome tests and experiments on and mindfully invest in cruelty-free products. What’s your no.1 non-toxic nail polish pick and why? Share with us in the comments! Nail Polish Looks Amazing! But Did You Know It Could Harm You?